While events and action are at the heart of event photography, capturing a sense of “place” within your photos is also essential. This puts your photographs “on the map,” so to speak, and provides a framework and context for the events themselves. One of the dangers in event photography is being so focused on the activities and the events, and the people involved, that we lose sight of the big picture and forget to include the backdrop. Remember to step out from behind the lens, get your bearings, and then re-frame to include details or backgrounds that help establish where the events are taking place. The mantra of real estate agents, “location, location, location” should be at the essence of good event photography as well. 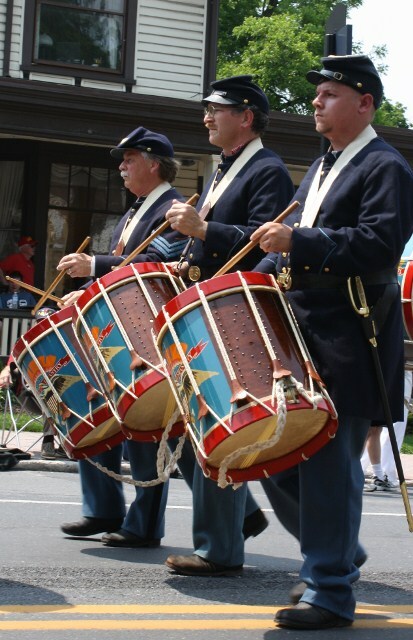 Compare this close-up of Civil War reenactors/drummers to the wider shot below, setting the scene along historic Baltimore Street in historic Gettysburg, PA during the oldest, continous Memorial Day parade in the country. 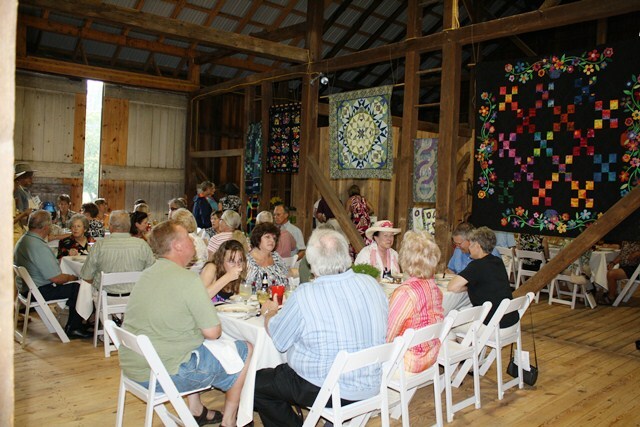 Heirloom quilts, hung from the rafters, sets the scene for a farm-to-table dinner held in an 1860’s-era barn. 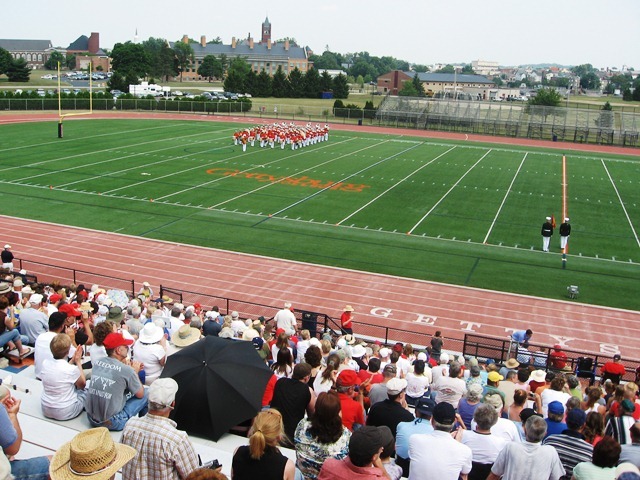 As the world-famous Marine Corps Band takes to the field at Gettysburg College, this wide shot provides Gettysburg’s historic skyline as a backdrop. 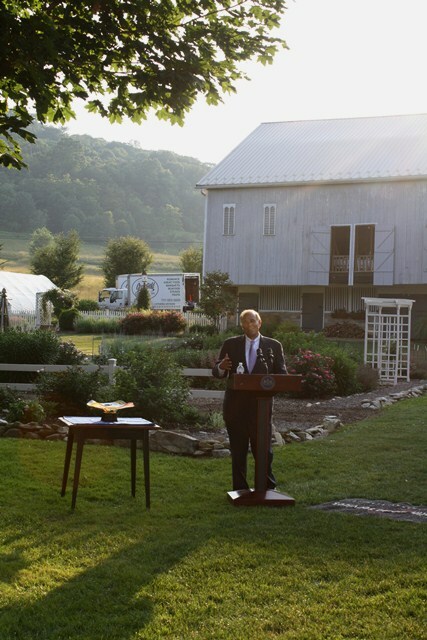 As then-Governor Edward G. Rendell speaks about the importance of PA agriculture, a wide shot reveals his location at an Adams County farm. 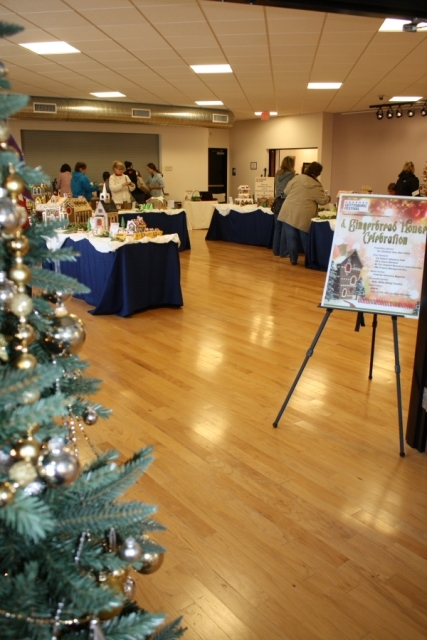 A wide shot sets the location of these intricate, detailed gingerbread houses at the new, state-of-the art Adams County Arts Council facility in Gettysburg, PA. 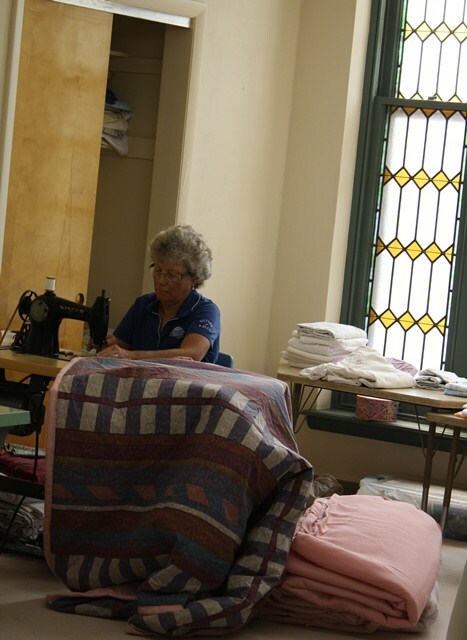 The inclusion of stained glass windows as a backdrop sets the scene for a church quilting bee in Gettysburg, PA. 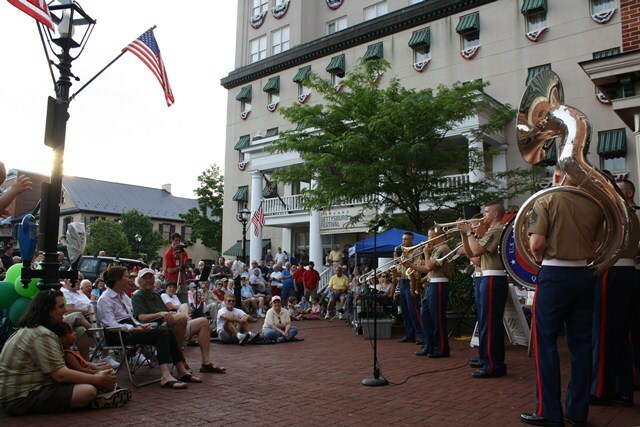 The U.S. Marine Corps Dixieland Band of Quantico, Virginia bring their rich brass tones to the heart of downtown Gettysburg–Lincoln Square and the Historic Gettysburg Hotel. All photographs are (c) Hendricks Communications, 2007-2012. 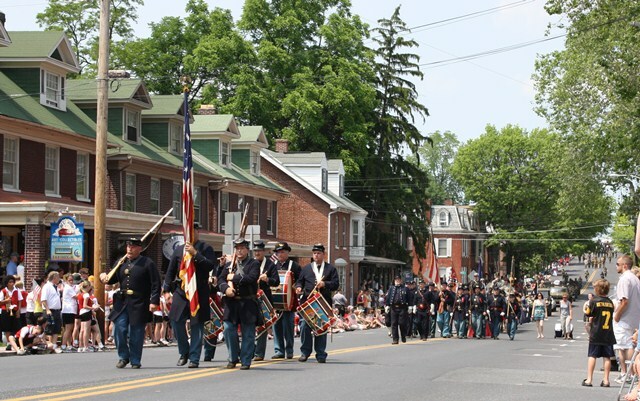 This entry was posted in Photography, Visual Storytelling and tagged Adams County Arts Council, event photography, festival photography, Gettysburg, Gettysburg College, Governor Rendell, photographing a concert, photographing a parade, Photography, telling the story, U.S. Marine Corps Band by Karen Hendricks. Bookmark the permalink. So true! Well said. And nice captures. Many thanks Robyn, for following & for the kind words. Greatly appreciated!